Follow Friday is a meme hosted by parajunkee.com and alisoncanread.com (as you can see ;)). Name three authors who you would love to sit down and spend an hour or a meal with just talking either about their books or get advice for writing from. 1. Kristin Cashore, author of Fire and Graceling. 3. Tie: Andrea Cremer, author of Nightshade, or Ally Condie, author of Matched. I love all of their books... and all of these authors have very different writing styles which constantly amaze me. I have dog-eared a lot of pages in their books because even though I've read a scene maybe ten times and know exactly what the book says, the words still affect me. And I wish to God that my writing could hold that much sway with others. I would buy/read anything these authors wrote. What is the one genre you wish you could get into but just can't? You know... I was thinking about it but there isn't all that much in YA that I don't like to read... except for maybe nonfiction YA, which I'm not sure there is a lot of. I read more of a few genres than others but really, I'm not all exclusive. Except for experimental types... but that's not really a genre within YA and has only a few select books in the adult section anyways. Basically I don't read non-fiction all that often and the "experimental" genre, but honestly I don't wish I could get into that stuff. I just don't like it and I don't know enough people who read that for me to want to read it myself. I've seen the lack of non-fiction aimed at young adults mentioned in some library science articles. Since last week's pie chart about where I get my books was so popular, I thought I'd share what types of books I do read. Please stop by to see which genres I don't typically read. Hi there, I'm hopping through & following you. Stopping by for the blog hop. New follower!! Jumping on the FF fun for the first time! The Vampire Academy! I have a love/hate relationship with that series. Still getting around to reading Matched! Hopping through. I'd love to meet Andrea and Ally too. I can't wait until Wolfsbane comes out in a few days. I agree with Mead! I love her writing style and have yet to find a book she wrote I don't like! I'm a new follower. My answers are up at Coffee Table Reviews. I chose non-fiction as well! It makes me feel like I'm back in school, and it just doesn't stick! Happy Friday, just hopping by. Hi there! I love your pick of Richelle Mead, she's amazin! I've yet to read Fire and Graceling, hopefully soon though. Richelle Mead would be fabulous, although I might have to grill her about about what she did to Dimitri! I haven't read Graceling yet, but I'm really looking forward to it. I have a copy of Graceling sitting on my shelf, that I haven't gotten around to yet. I've actually read the first two chapters months ago, but for some reason or another I didn't finish it. I am planning on it, though. Happy Friday Hops, have a grrreat weekend! My Friday Hops (+) Blog Hop! Drop by Pineapples & Pyjamas to see my answer. I said non-fiction also. Unless it's a memoir about someone who was a member of a strange religion. I find polygamists really fascinating. 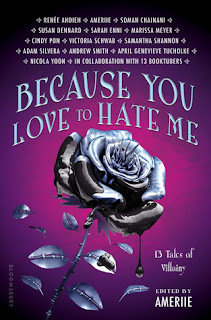 Great Author picks, I would love to meet Kirsten Cashore and Richelle Mead! Hi. Happy Belated FF from a new follower. Interesting choices; don't think I've seen any of those authors in anyone else's list yet. Non-Fiction is a hard one to get into. I love memoirs, but historical non-fiction gets me sometimes. I totally forgot about Kristin Cashore! I love her! New follower with extra time!